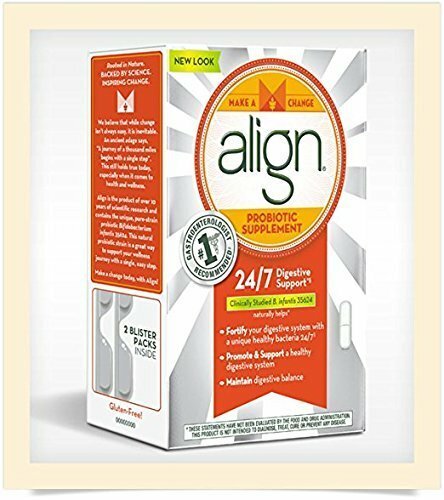 Align is a daily probiotic supplement that naturally helps* fortify your digestive system with healthy bacteria 24/7 §, build and support a healthy digestive system and maintain digestive balance. Common issues such as diet, changes in routine, travel and stress can disrupt your natural balance of good bacteria. Probiotics are good bacteria essential for many vital body functions, including healthy digestion. §With continued daily use. *This statement has not been evaluated by the Food and Drug Administration. This product is not intended to diagnose, treat, cure or prevent any disease. Also, Align is a gluten-free probiotic supplement.